1 February, 2014-Municipal and Project. 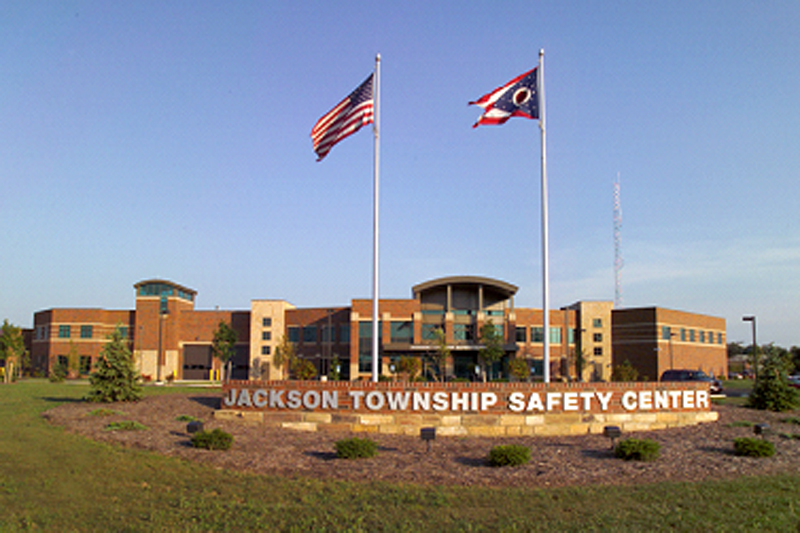 We designed and managed the Jackson Township Safety Center in Massillon, Ohio. A new 50,000+ square foot Safety Center. 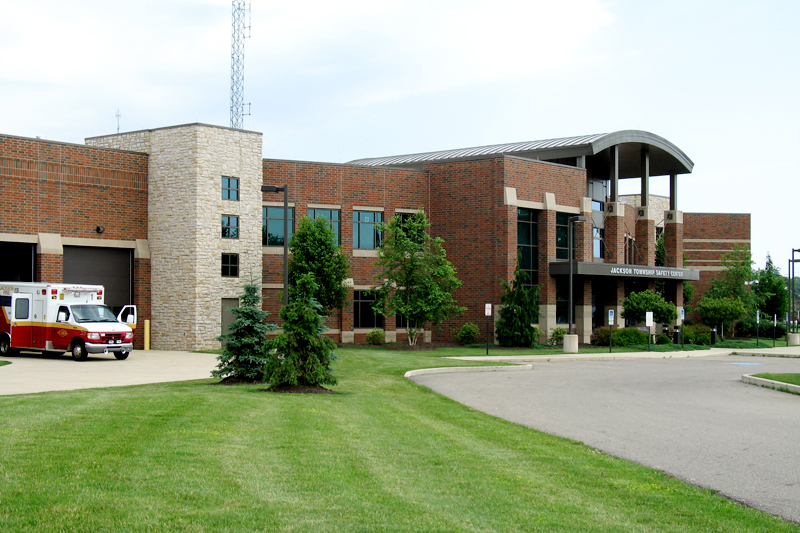 The facility houses the Safety Force’s Administrative Offices in addition to the Police and Fire Departments. The solution to specific programming needs and a desire to offer a ‘user friendly’ façade to the community was achieved through a comprehensive series of meetings that included all levels of the Township’s staff. 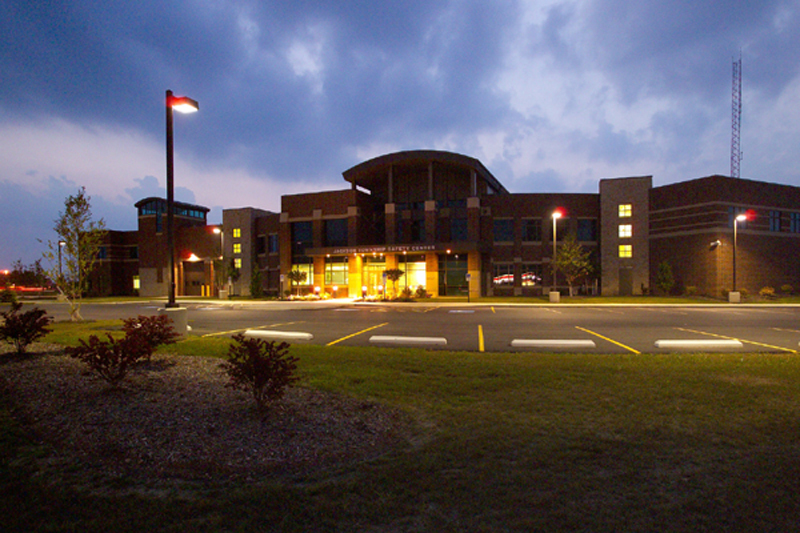 Fire Department and Prevention Offices, Apparatus Bay, Dormitory, Locker Rooms, Kitchen, Dining, Living Areas, Workout Room and Quarter Master Storage. Central Training Space and Distance Learning Facility with Public Space for Community Use. Five Drive Through Bays with Additions for EMS, Water Rescue, Ladder, Platform and Pumper Trucks. A 3-hour, 4-cell Jail Facility, Central Lobby and Police Dispatch, Police Department Offices, Sally Ports, Evidence, Ammunition, Booking, Interview and Property Rooms, Men’s and Women’s Lockers.